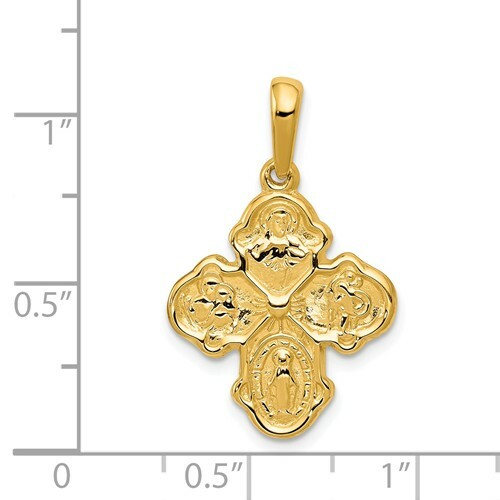 Die struck four way medal is made of polished, solid 14kt yellow gold. Weight: 2.25 grams. Item measures 11/16 inch wide by 3/4 inch tall without loop and bail. On the back is written: I am a Catholic, please call a priest. 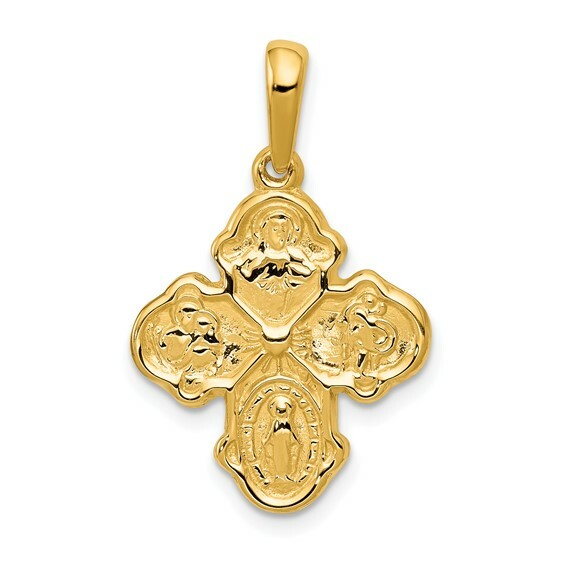 The Four Way Medal includes the Sacred Heart at the top, St. Christopher on the right, Miraculous at the bottom and St. Joseph on the left and is known as a cruciform. I would buy this pendent again. It is beautiful! My experience with Joy Jewelry was "a joy". The first medal they sent was slightly imperfect and they exchanged happily and quickly. I highly recommend this company.